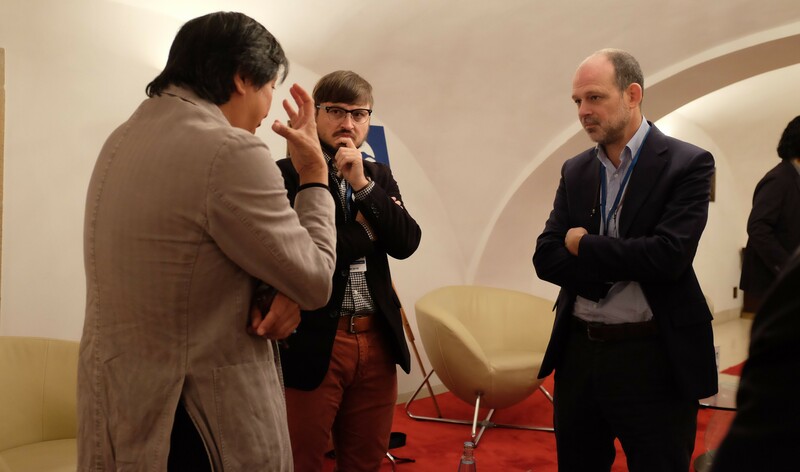 Darren Byler (center) speaks with the founder of the China Digital Times Xiao Qiang (left) and journalist Juan Pablo Cardenal (right) at Forum 2000 in Prague in October 2018. Image by Tom Cliff. This term refers to the security industrial complex that is now driving much of the economy in the region. Since 2009, when there was widespread protests, riots and state violence in the region, the number of private security companies working in the region has risen to more than 1400. Many of these companies are on the cutting edge of Xi Jinping’s vision to surpass Silicon Valley in artificial intelligence development. The Chinese state anticipates expanding investment in AI development to 150 billion dollars by 2030 and, in turn, through this producing approximately 7 trillion dollars in Chinese gross domestic product. From the perspective of Chinese state investment and technology development, the project to control and transform the Uyghur population is a venture capitalist experiment with vast potential. My sense is that the change in approach in Xinjiang came from the central leadership of the Chinese nation. In 2014, soon after violent incidents in Kunming, Beijing and Ürümchi, Xi Jinping and then Xinjiang Party Secretary Zhang Chunxian declared the “People’s War on Terror.” At the outset of this new initiative, the state began to ban public displays of Islamic piety and to place Uyghurs in reeducation camps. Yet it was only until after Zhang was replaced by Chen Quanguo in 2016 that we saw an exponential increase in mass detentions and AI-enabled security infrastructure. It is my sense that Chen, with the support of the Xi administration, made the decision to move from simply a police state security approach to a mass human re-engineering approach in managing the Uyghur population. 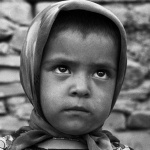 Since 2016 we have seen the state implement widespread existential damage to basic aspects of Uyghur life—ranging from religious practice to family unity, language use and food culture. Now all of these basic Uyghur social institutions are being erased. These systems and the infrastructures of social erasure would not be possible without vast injections of cash from the central government. My sense is that Chen and other regional authorities are simply implementing what the Xi administration has directed and incentivized them to do. This interview first appeared in Sinopsis, a joint project between the Institute of East Asian Studies at Charles University in Prague and a not-for-profit association AcaMedia. It is reprinted here with permission. Sinopsis thanks the Oriental Institute of the Czech Academy of Sciences for organizing a debate Managing the “Others”: Governance and Control in Contemporary Xinjiang, PRC, on October 8 2018. This event made the interview possible. the worst part is should I be surprised what chinese are doing to uighurs or to the world ,which stays silent and keeping cooperate ,trade with China & behave like nothing happened. Thank you for this informative and principled explication of the tragedy currently unfolding in Xinjiang.